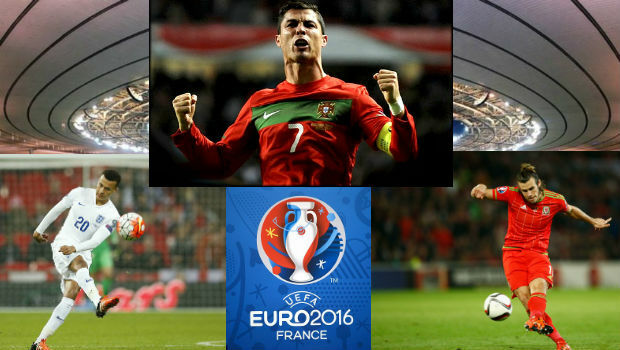 Euro 2016 is set to be one to remember. With the continent's best teams heading to France in search of glory, there's every chance punters will see some sublime football played between 10th June and 10th July 2016. Naturally, for the teams to wow with their talents, certain players will need to shine; this summer, fans from every active nation will be expecting great things from a bevy of stars. From the old guard to the plucky newbies, each of the 24 teams taking part in Euro 2016 have a handful of players they'll be looking to for inspiration. From a betting perspective, it's these stars who offer some of the most interesting odds and options heading into the competition. Whether it's the players most likely to run off with the 'Golden Boot' or a youngster capturing the eye of Europe's top managers, Euro 2016 will be a time for talent spotting – and money making. Indeed, with everyone and their dog about to transform from a casual fan into the next talent scout for Real Madrid, the online bookies have gone player crazy, with a slew of player-specific bets over the last few weeks. To ensure you know which players to look out for and, more importantly, which ones could represent some value in the betting markets, here's a list of the top three players to watch during Euro 2016. When it comes to emerging talent, there are few players as highly touted as Alli going into Euro 2016. Despite being just 20-years-old, Alli shone for Tottenham this season and, with some solid England performances under his belt, there's every chance he could be the proverbial dark horse this summer. One of Alli's biggest strengths for Tottenham during the 2015-2016 season was his passing rate. With a 79.5% success rate in the Europa League and a 75.0% success rate in the Premier League, Alli managed an overall passing rate of 74.9%. That type of activity and accuracy could be just what England need as they strive to get the ball up to the likes of Harry Kane and Jamie Vardy. Although creative players are often overlooked when it comes to naming the 'Player of the Tournament', Alli could be worth a punt at 25/1 over at William Hill Sports. Heading into the tournament, France's Paul Pogba is the runaway favourite for the title at 8/1. However, Alli will step onto the pitch with the exuberance of youth on his side and that could make him a standout player. If 25/1 odds at William Hill aren't enough to tickle your fancy, then Dmitri Payet at 16/1 or Eden Hazard at 20/1 are certainly worth a punt. Welsh players don't often get a chance to compete in a major tournament, so this will be Bale's big moment to shine on the international stage. While it's fair to say that Wales are one of the tournament's underdogs – they are priced at 80/1 to win outright at Ladbrokes – Bale will be a big player for them as long as they survive. Since the Welsh winger will almost be carrying the weight of a nation on his shoulders, there's one of two ways things could go. Either he'll thrive and become an even bigger star, or he'll crumble. Either way, Paddy Power's Bale vs Slovakia market is an interesting one to check out. Currently available as a 'player versus team WDW', Bale is 4/1 to come out on top, while a draw is 7/4 and a Slovakia win is 4/5. Given that Bale will be a big player for Wales and that he could do something special, you should check out this bet and others like it throughout the tournament. If he wants to become known as the greatest footballer in the world and one of the all-time best, Ronaldo will need to perform in France. According to the stats, Ronaldo has played 126 times for Portugal, notched up 20 assists and banged in 58 goals. What we know about Ronaldo is that he can score goals and terrorise teams, which makes him a great bet at any time during Euro 2016. However, what we also know is that he can often lose his cool when the pressure is on and emotions are running high. With 19 bookings for Portugal and a further 59 in domestic competitions, Ronaldo certainly has a temper on the pitch. So, if you're to assume he's good for goals and potentially a yellow card or two, then it's worth looking at 888Sport's 'to score and get booked' market. For Portugal's opening game against Iceland, Ronaldo is 11/1 to score and get booked in the same game, which is great value. Make sure you look out for similar bets throughout the competition at 888Sport. Regardless of which players you want to watch or where your betting persuasions lay, Euro 2016 will be a constant stream of high-quality football action. To take advantage of all these generous Euro 2016 player markets, head over to William Hill Sports today!